Great 5 bedroom /3 bath villa with private pool, wireless internet, x-box and much more for up to 12 persons just minutes from 192 in perfect location near Disney. Luxury vacation villa backs onto conservation area in a peaceful community close to the vibrant area of Kissimmee Orlando. Season's Sunshine Villa is our fantastic, five bedroom, two-story villa situated only ten minutes away from the Magical Walt Disney World. Our villa is of executive standard with games room. Lovingly furnished to accommodate a large or multiple families on the vacation of a lifetime, this very spacious, five bedroom house has 2700 square feet of living space. Situated in the heart of Florida close to Highway 192, the perfect location for everything Florida has to offer. This fabulous five bedroom, three bathroom villa sleeps up to twelve guests. This villa is furnished to a very high standard to make your stay as comfortable as possible. SEA5301 is on a large corner plot, in idyllic tranquil surroundings but only minutes from restaurants and shopping malls including Wal-Mart. The master suite is ultimate luxury with US king size (6ft) bed, huge en-suite, dressing room lighting, large corner bath, separate walk in shower, hair-dryer, walk in wardrobe, cable TV. The second master has US queen size (5ft6in) bed hair-dryer,and full bathroom and shower, plus TV. Three other bedrooms all have twin beds, built-in wardrobes. The family room has three sofas, one being a sofa bed, large TV, DVD, VCR, and CD player. Complimentary Wireless Internet access. Formal dining room seats six guests and a fully-equipped kitchen with every conceivable extra. There is a nook area which has another dining table which seats four guests. Seasons Sunshine Villa has a fantastic fully air conditioned games room to the front of the house. The outside private pool is southwest facing with an extended patio area a covered lanai porch and a 28 foot pool, for an extra charge you can have pool heating. There are two patio tables, four loungers, and 8 chairs enough to seat twelve guests. All linens and towels provided plus baby’s full size cot and high chair. Telephone with free local calls.Washer, Dryer, iron & ironing board. Wal-Mart store minutes away, Close to 192 with restaurants, golfing & shopping malls. Our villa has everything to make you feel at home and it is that perfect holiday destination for you, your family, and your friends. • 30% (minimum $300.00) deposit required to secure booking. Deposit non-refundable if you cancel. • The amount has to be paid 10 weeks before arrival. Beautiful 5 bed roomed Villa. Excelente casa muy comoda, equipada y acogedora, cercana a Waltmart y lo mejor a pocos minutos de los parques. 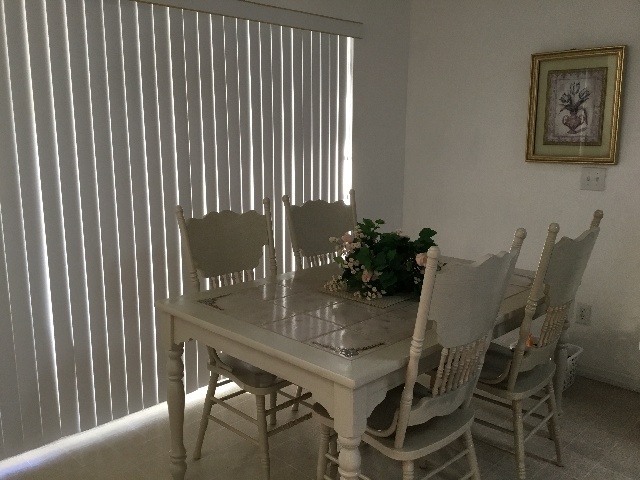 Excelent house, everything was clean and very good condition. We loved!!!! The villa we rented in Kissimee was wonderful. It was very nice to return to a large home after visiting the super crowded parks. It took us 20 minutes to drive from the Wizarding World of Harry Potter, Universal Studios to our villa. Even through all the traffic on Route 4. The home accomodated our entire extended family. The bonus play room was excellent for the kids. The pool was perfect and real treate. 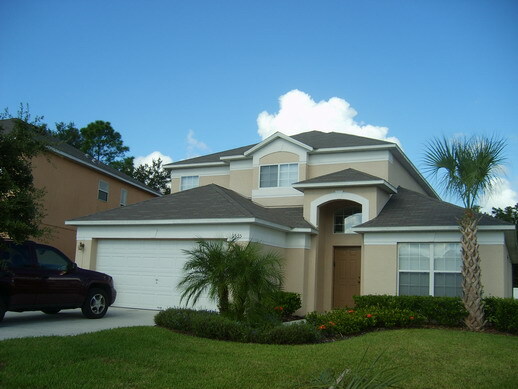 I would recommend this clean spacious 5 bed room home to anyone interested in visiting the Orlando area.